Setting up a new business can be tough, especially when you have limited funds to start with. You can have the right concept and ideas for your venture, but without a proper budget plan for your business, you’ll end up having a hard time starting it up. Effective budgeting involves making precise estimates of your future revenues and expenses. And it can really be difficult when you’re new to the game. Most amateur business owners solely base their business decisions from similar experiences of other people. So it is important that you carefully plan your budget ahead of time. 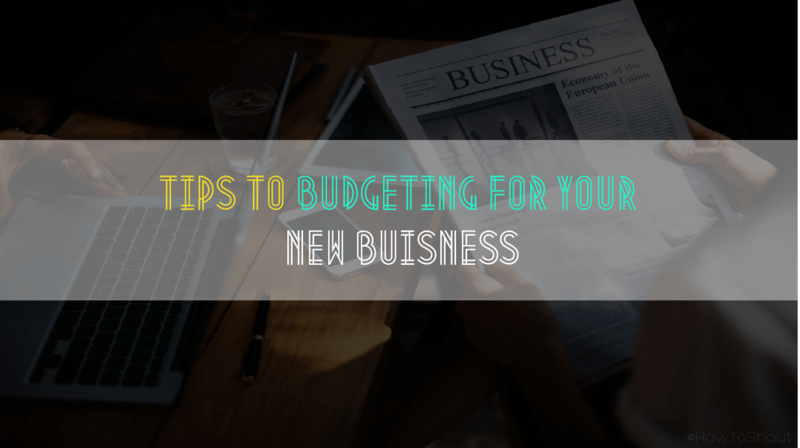 Here are five tips on how to make a proper budget plan for your new business. The first thing you need to remember before making a budget plan is to do some preliminary research about the concepts of your new business. Search for business competitors in your area and try to ask yourself: “How can I come out as a top contender?” It’s quite easy to do some quick research using the internet. Try listing down their products, services, marketing gimmicks, and creative features. And from there, try to make your business more attractive and unique from other competitors. 2. Determine your source of revenues and approximate your expenses. If you’re already sure with your business ideas, the next thing to do is to list down all the possible sources of revenues and expenses. Since you’re starting a new business, you can only come up with rough estimates. But try to make your estimates realistic, sound, and reasonable, as you may encounter a loss if you end up overestimating your revenue. List down the fixed costs and variable expenses. As much as possible, try to think of everything that you’ll need for your business to avoid any unforeseen expenses that may catch you by surprise. 3. Delegate some funds for contingency plans. Let’s be realistic: You can’t predict everything that will happen to your business in the future. Some problems may arise such as sudden equipment failures, destructive natural disasters, and other emergencies. Thus, to be able to handle these unpredictable situations properly, you should allocate sufficient amounts for emergency funds. 4. Make the best one-time investments. One-time investments such as purchasing powerful equipment and high-end software can be quite expensive, but these will greatly improve the performance of your business. To avoid overspending, do some research and make sure that these products and equipment will be useful for your business. An example of great one-time investment is the Microsoft Office suite. Try to buy Microsoft Office programs to make sure that all your employees are able to produce quality reports and outputs. 5. Raise a sufficient amount of capital. After you’ve done everything on the list, the last thing you need to make sure is that you have adequate capital to start up your business. Avoid overestimating your revenue forecast in order to have a good reason to initiate your business. It’s also suggested that you have sufficient money to cover initial supply shortages until your business attracts more customers and stabilizes. This may take some time, so make sure to get your business always ready financially.